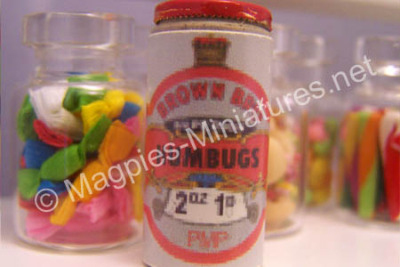 Brown's Humbug Tin - 5lb tin. Brown's Humbug Tin - 5lb tin. Non opening. 12mm dia x 25mm high.